Tired of your earbuds wearing out before your favorite songs do? 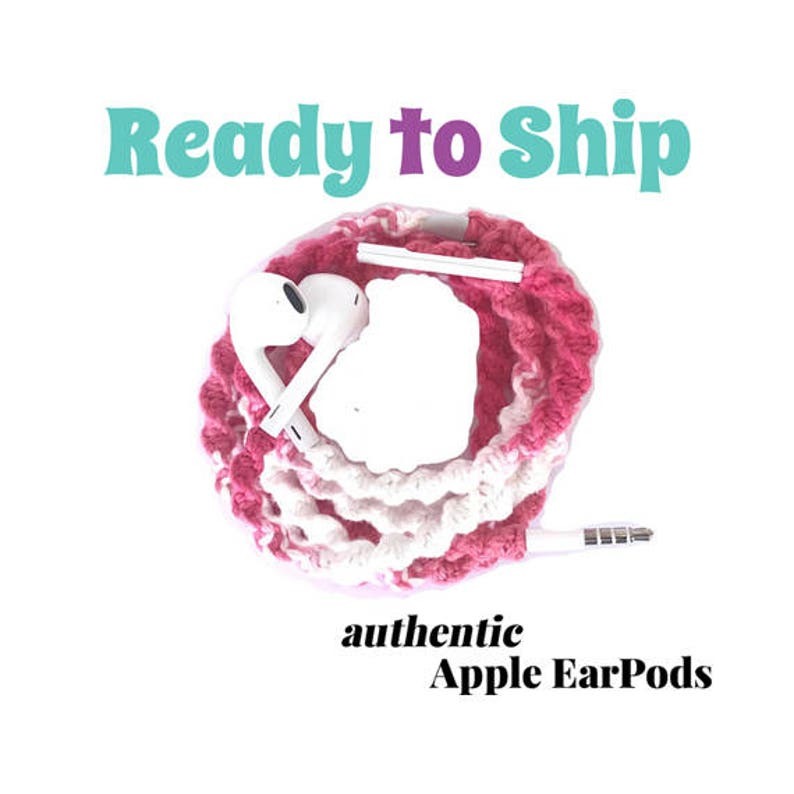 Try our tangle free hand wrapped authentic earbud cables that will make you swoon! Made with 100% cotton yarns and Scotchgard protected, you will love how our PINK MERINGUE macramé earbud wraps feel against your skin. Strong enough to survive your sweatiest workouts, pretty enough to wear in public and soft enough to fall asleep with, our wrapped earbuds are your new best friend! NOTE: Compatible with all devices with standard 3.5mm headphone jack. Devices with Lightning connector that is also the headphone jack requires 3.5mm to lightning connector. (Message me if you need one, I may have a matching adapter). Mic is operational with Apple devices. iPhone™ is a registered trademark of Apple Inc.
Skullcandy™ is a registered trademark of Skullcandy Inc.